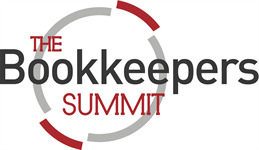 The Bookkeepers Summit is back for a fantastic fifth year – and the 2014 Summit promises to the biggest and best yet. The country’s largest one-day seminar dedicated to Certified Bookkeepers and the work that they do will take place on Monday 13 October. 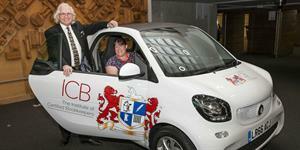 The Summit has grown so quickly that this year we expect a bumper turnout. In fact we are so confident that this year’s Summit will break all records that we are taking over the entire third floor of London’s premier venue, the Queen Elizabeth II Conference Centre, in the heart of Westminster just yards from Big Ben, the Houses of Parliament and right opposite Westminster Abbey. Not only will there be a full day of presentations from leading speakers on key topics that will affect your future but there will also be a mini exhibition from the leading suppliers to the bookkeeping profession. And immediately after the Summit there will be a wine reception followed by the Members Dinner when attendees will have the chance to wind down with friends and colleagues old and new over great food and wine. Again this year we shall bring in a bit of fun so that everyone has a laugh and thoroughly enjoys the evening and we shall, of course, present the trophy to the Branch of the Year 2014. It will start early so that everyone can be away to catch their planes, trains or buses by 9.00pm.